Roger Greenberg (Stiller) is an unemployed 40 year old man recovering from a mental breakdown. He has lived in New York city for 15 years, but returns to his hometown Los Angeles to house sit for his brother while his sibling and family are away on holiday. Here he meets his brother’s personal assistant Florence (Gerwig) and they strike up an odd relationship. Roger Greenberg is never comfortable in his skin. He is aimless, damaged and angry. His aimlessness is not out of place with the Generation Y kids he meets. Essentially, his development was halted in his mid twenties when he suffered a particular reversal of fortune that he hasn’t fully dealt with. He is single, has no children nor other responsibilities and yet every day is a challenge for him. When he meets Florence, their apparently opposite qualities make them seem like a potential match for each other. What they do share is an uncomfortableness about living. Greenberg is Noah Baumbach’s latest feature. He has taken a series of slice of life moments from several weeks in the existence of a character that many would judge as a a failure and somehow creates an unexpectedly engaging movie. Performances are solid and Gerwig’s naturalistic oddball Florence shows she is an actor to watch. For audiences who enjoyed Baumbach’s debut feature THE SQUID AND THE WHALE (2005) there are recognisable topics and stylistic choices. 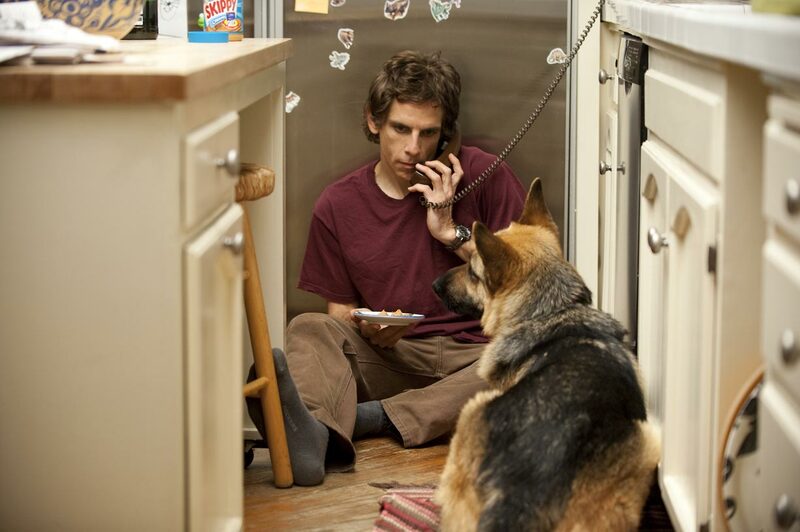 Greenberg has some of the same story DNA as the Jesse Eisenberg character in that film. Both movies deal with what happens when high achievers do not fulfil their own expectations. Roger Greenberg has many regrets. He should have achieved more, he should be respected, he should have been better to his friends. However, it’s his continual anger that is most evident. The world just isn’t good enough and he spends his days kicking agiant the pricks. GREENBERG is a movie that unfolds slowly and naturally. Stiller creates an unlikeable yet watchable character who is trying to get through his days with inadequate personal resources. He hopes his life is getting better and he thinks he sees improvements, but he isn’t certain about anything. If that rings a bell in your psyche, then hunt down this small gem as soon as you can.